Strawberry smoothie recipes are probably the most favorite ones because of their tasty flavor and ability to mix with other fruits. 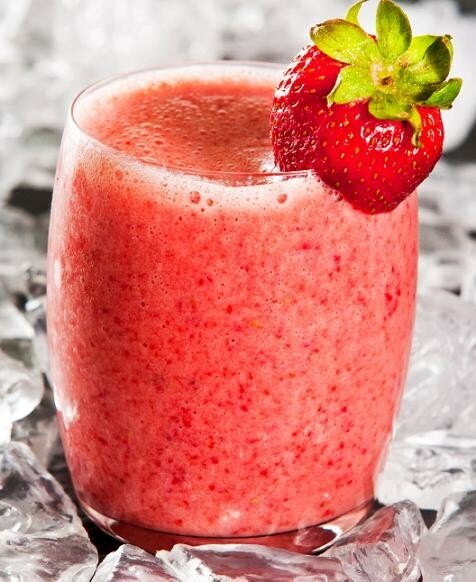 A strawberry smoothie recipe will taste best if you use fresh strawberries instead of frozen ones. If frozen strawberries are all you have, it is better to add some sort of sweetener like sugar or ice cream. Add the milk and blend on low speed till well smooth, than add ice cubes and blend on high. Add sugar and blend on high speed for about 1 minute. The texture should be slushy and smooth.